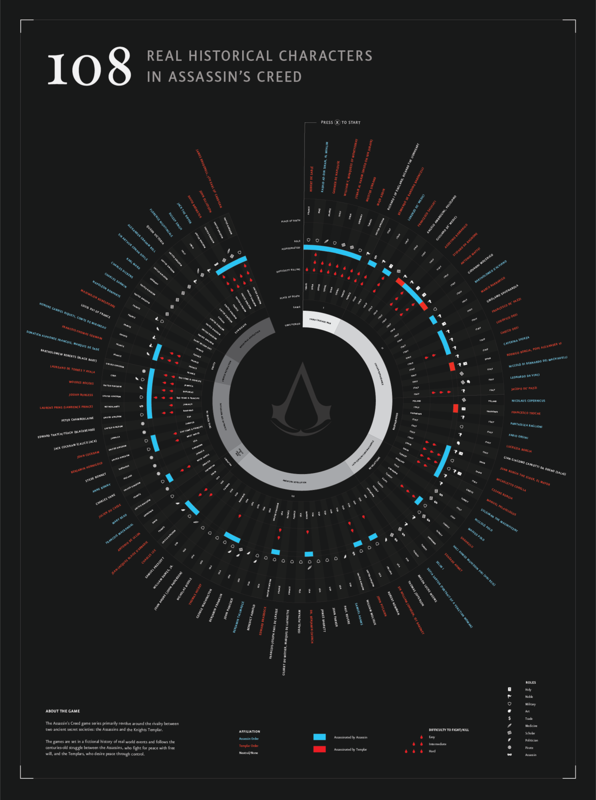 Assassin's Creed is a franchise game series that revolves around the centuries-old struggle between two secret societies: the Assassins and Templars. 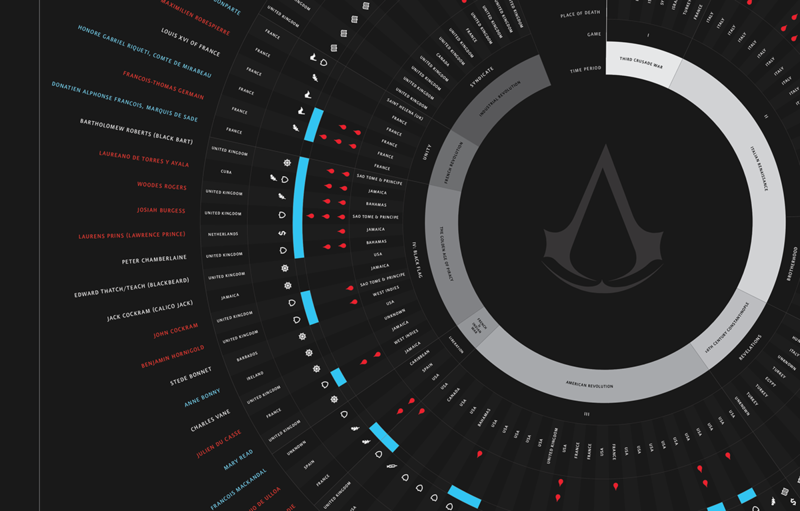 This visual database is an organization of all the real historical figures that appear in the game series, categorizing them by attributes such as origin, alliance, and the roles they had. In the center is the insignia of the Assassin Order. 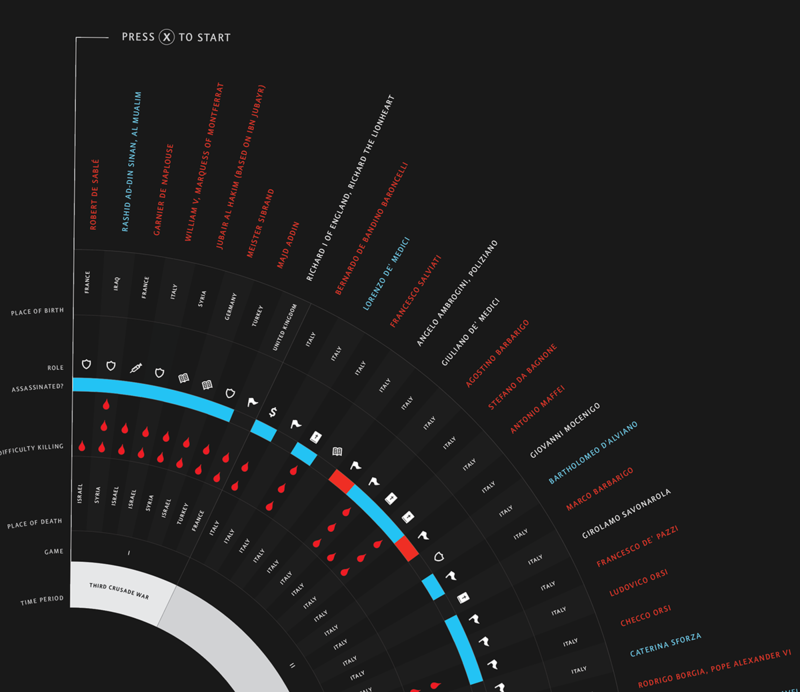 This project was to create a visual database for a collection of at least 100 data.